The approach of PHILLIPS in that matter is to consider every interesting timepiece and dedicate the same level of interest to every one – guarantying most of all an uncompromising approach to quality (understand condition, provenance) – the aim is to open the world of collecting to a wide audience, and to consider particularly the level of interest and passion, of the buyer but the seller as well! Start, stop, reset is also an oblique reference to the world of sports, which has a lot in common with Phillips’ core values such as : healthy competition, expertise, uncompromising approach to optimal results, performance, team spirit! At the rostrum will be the auction maestro Aurel Bacs. Presented below is a selection of some of the timepieces that will be in the auction. Tudor, Reference 7031/0. 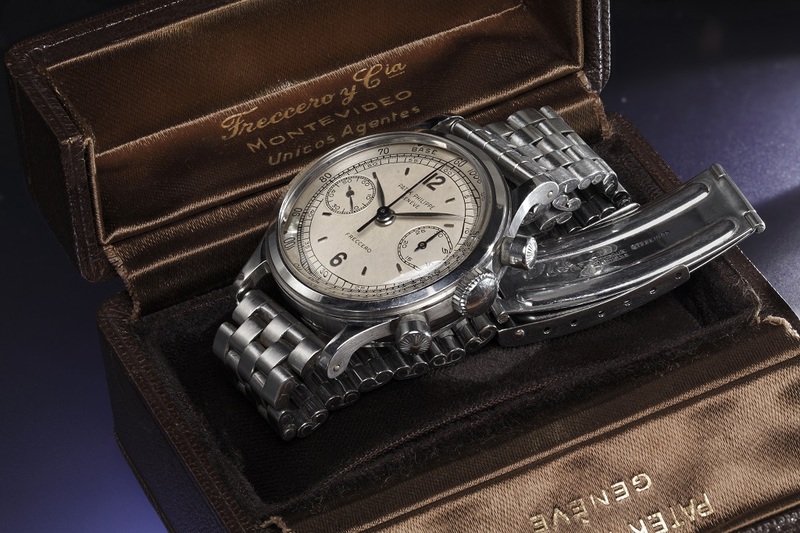 A very fine and rare stainless steel chronograph wristwatch with matte grey dial, tachometer bezel, and bracelet, accompanied by presentation box and guarantee. Omega, Reference 2393/3. 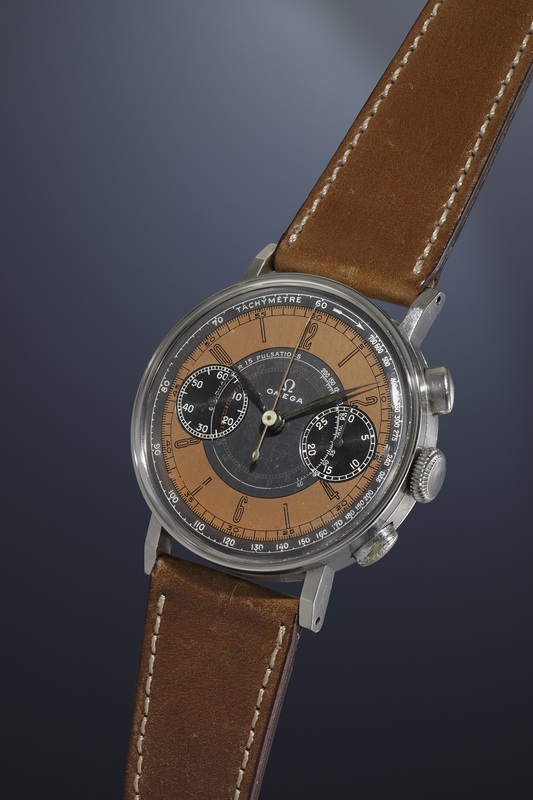 A very rare and highly attractive stainless steel chronograph wristwatch with three-colored dial, large art-deco style hour markers, tachometer, telemeter and pulsation scales. 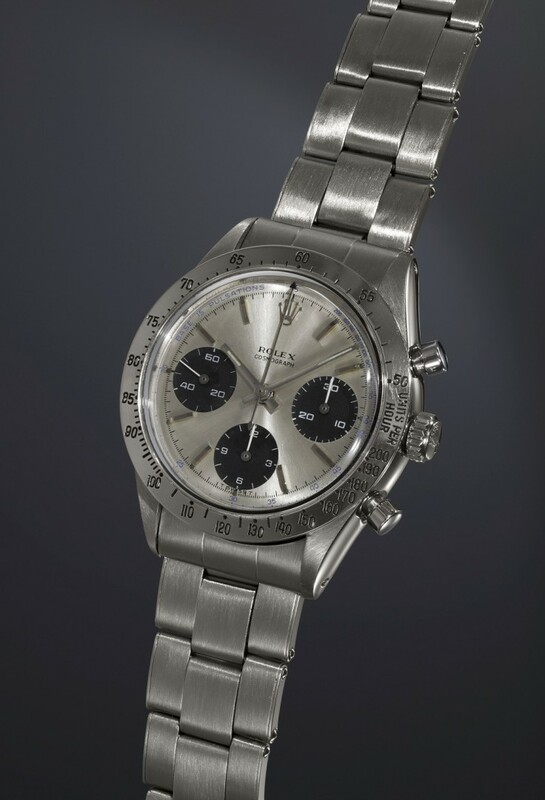 Rolex, Reference 3330. 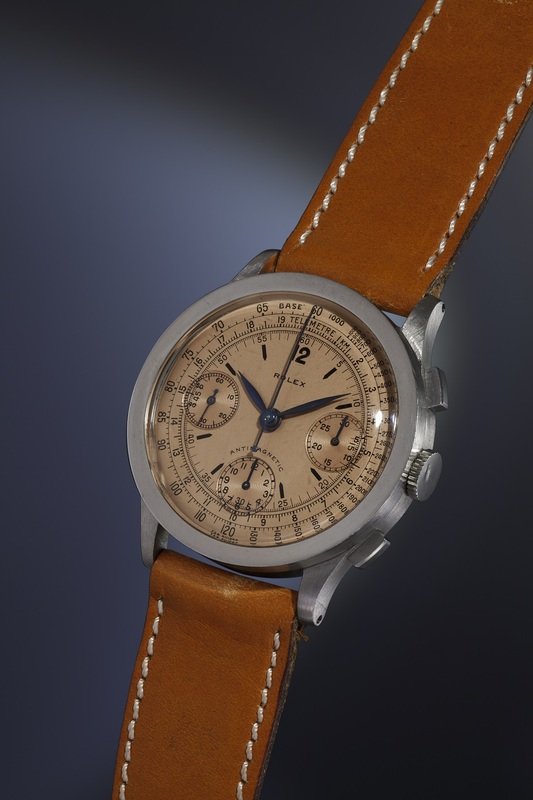 An extremely rare, attractive and large stainless steel antimagnetic chronograph wristwatch with salmon colored dial, tachometer and telemeter scales. Patek Philippe, Reference 1463. 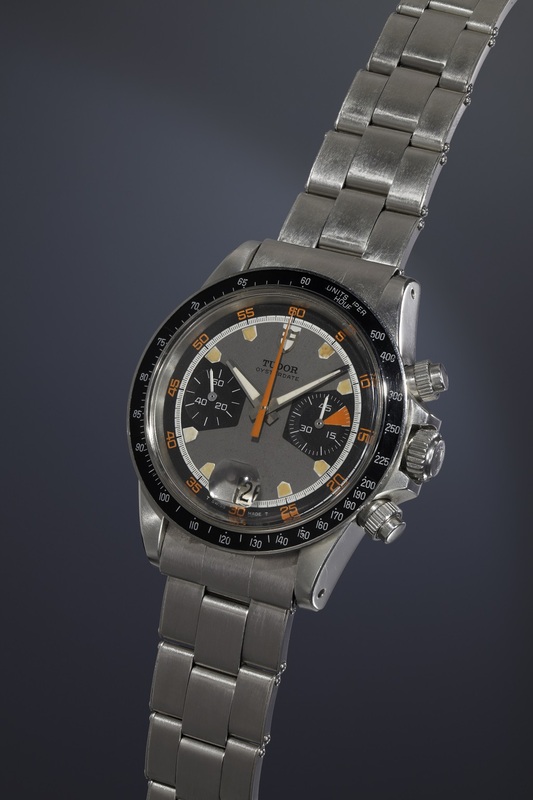 An extremely rare and highly attractive stainless steel chronograph wristwatch with two-tone silvered dial, applied Arabic and baton hour markers, outer tachometer scale and bracelet, retailed by Freccero.